Posted on September 7, 2015, in Catholicism, Conservative Catholicism, Traditional Catholicism and tagged 2015 Synod, Adultery, communion for adulterers, homosexuality, Kasperites. Bookmark the permalink. 20 Comments. Tomorrow a motu proprio on reforming the annulment procedures will be published by the Vatican. Perhaps this means that prior to the Synod the Pope is trying to take the heat off the discussions on the civilly divorced and remarried. 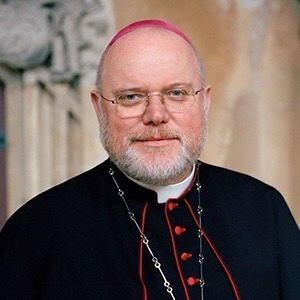 Streamlining the annulment procedure in a number of small steps with the ultimate result of annulment-on-demand seems to be the best way for him to avoid an open clash between liberal and conservative bishops, in particular the Germans and the Africans. It can be a slimmer way. But one hopes he will meet resistance in that, too. Point about public sinners well taken. However, what I found is that the Marx&Co. do not really care about adultery. They harbor no illusions that by changing Church teaching on divorce/remarried, this will in any way stop the bleeding of the membership, let alone start returning the people back into the pews. The reason is that they see that it hasn’t worked for the proddies, who lose more faithful than the Catholics in Germany, while promoting all the depravity that is being promoted now by Francis. The real agenda is the Gender Ideology agenda. The reason being that Marx &co are idealogues. What they are after is acceptance by the leftist establishment. They call it the zeitgiest issue. They want to be at the variuos tables, whether it is the EU or the UN or what have you.This is even causing friction between them and the Chancellor and the German Courts. And finally, the reason they want to be at these tables is that this is where the real money is, and it is behind Gender. This money comes from the UN, NGO’s and US foundations that are promoting it. Good case in point is the Irish aberro-marriage referendum. The NO side was outspent by a ratio of 50:1, And the Homo-money was pouring into Ireland for 10 years in order to soften the society up for the eventual referendum vote. Anyways, I think this is why the Vatican “watchers” (Pentin, Gagliarducci and Fr. Z are the ones I have identified) are now coming to the conclusion as to what the real Trojan Horse is. Ah, interesting thoughts. But in my eyes the perception of the Church as “flexible” of those issues would at least delay the exits from the Kirchensteuer. In the end, Catholics have a far stronger link to the Church than Proddies to the church down the road. Problem is that “those issues”, i.e. communion for divorced/remarried have very little to do with the exodus from the Kirchensteuer. The issues driving the Kirchensteuer exodus are: the big drip and economics. Present value of 8.9% of net income over a lifetime is a large chunk to pay so that your daughter can get baptized/married/buried in a church. I am not sure I agree. The Kirchensteuer is between 7 and 9% of the tax bill, and is deducted from the taxes. Therefore, for a 40% tax payer it amounts to some 4 or 4.5 percent added to the tax bill, or to an increase in general taxes of perhaps 2 or 2.5 percent. Unemployed pay zippo, pensioners very little, and with the money the church provides also services which otherwise would have to be paid with tax money. It’s not a big issue for most families, but it is billions a year for the heretics. Germans are also very “social” and disciplined people. They pay for solidarity. When they don’t pay anymore is when the church says it’s wrong for them to be adulterers. You obviously have a better read on the general situation in Germany than I do. I used the information that was provided on wikipedia. Here is their example: For example, a single person earning 50,000 euros may pay an average income-tax of 20%, thus 10,000 euros. The church tax is then an additional 8% (or 9%) of that 10,000 euros (800 or 900 euros) for a total of 10,800 or 10,900 euros in taxes. Yes, it is therefore a percentage of the tax bill, not of the income. Income taxes in Germany are fairly strongly progressive, and those who earn more than average have several legal ways (or had when I lived there) to reduce their tax bills and therefore the Kirchensteuer. But you see, the example you bring shows the amounts aren’t that big: not many people earn 50,000 a year, and even for them it is 70 euro a month, deducted (if memory serves) from the taxes. For some of the services the 50,000 euro taxpayer would have to pay anyway, and charitable donations he would make anyway. The huge problem with the Kirchensteuer is that this money goes to feed an ungodly, heretical apparatus, and with the simoniacal system of forced payment. The amounts aren’t that bad in the end. This is also their undoing, you see. Southern European live more relaxed with their sinfulness, because they know they are wretched sinners. Your average XXI century German does not think that way. He is right, or he would change his behaviour. In order for him not to change his behaviour, the church must be wrong. Has anyone else noticed that the man in the picture looks a bit like Mark Shea? Mundabor, I really can’t see this upcoming synod going any other way than schism. I’m not trying to look at it in a doom-and-gloom way, but rather in a practical one. With large amounts of the episcopate already in schism, let alone entire countries (Germany, Austria etc. ), this is contrast with Africa and the Polish episcopate and other countries who will stay faithful, it’s hard to see this going any other way than an outright schism. From the United States I would like to look at it in a practical matter, how it will play out at the local diocesan/parish level if schism is to occur. It would be great to get your input on this. I think the way is clear: by threatening Francis to drag him through the mud all right. Which will never happen as long as we all continue to be so nice to the scoundrel. The long and short of it is, that it would appear that at the upcoming synod, there will be no official documents produced, i.e. no internim Relatio, no final Relatio, no Apostolic Exhortation. The only evidence that this monstrosity took place will be a Francis speech at its conclusion. And frankly, since the overwhelming number of delegates at this synod will be orthodox bishops, this prospective solution is one that can be acceptable to all sides. I explain why in my post. Last word. No need to be despondant. The Holy Spirit has our back! I will read the blog post as time allows. If it is confirmed it would be very good news, as it would mean the initiative has failed entirely. If the information that Gagliarducci provides is true, and I have to assume that it is, Francis and the Germans have a problem. The key is that the overwhelming number of delegates will be of the orthodox variety. Other sources (Fr. Z included) have also put information out to this effect. Big picture, my intention behind this post was just to make Catholics aware of the reality of the situation. I like using game theory since it susses out reality very well.